It is hard to predict the next big brands to emerge in today’s menswear industry, but there’s a good chance they may stem from crowdfunded campaigns. We explore some of the most exciting new menswear projects on KickStarter and there’s plenty out there that are well worth the investment. Saying that, there are some campaigns which may make you consider the lottery to be a better use of funds. With plenty of questionable choices, ranging from repetitive beard oils, to bizarre printed t-shirts, amongst the masses there are some real gems. We’ve taken a look through and picked out our top 5 projects below, take a look and let us know who your money’s on. Aiming to build a line of classic casual footwear with a modern fashion edge, using quality components and sold at a reasonable price. $32,000 pledged out of a $25,000 goal. 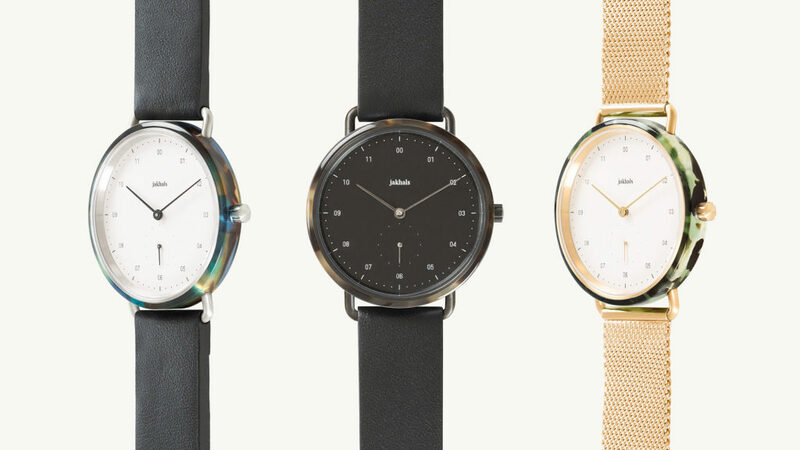 Unisex high-quality watches with handcrafted unique patterns. One of the most successful menswear projects on Kickstarter introduces its newest & best collection for men & women. Handmade in Italy. All of Kathrine’s products are proudly made in the USA using domestically sourced materials whenever possible. This not only supports local industry, but also allows her to closely monitor the production process. Founder Michael Utley found he struggled to have the perfect jacket for cold weather yet smart events when travelling. Maunder’s revolutionary new jackets bridge the gap between top-end styling and technical performance.